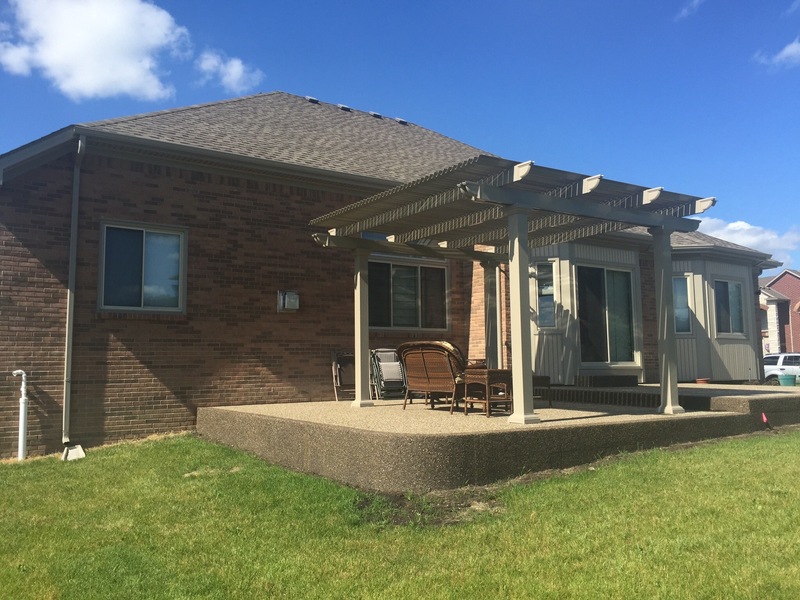 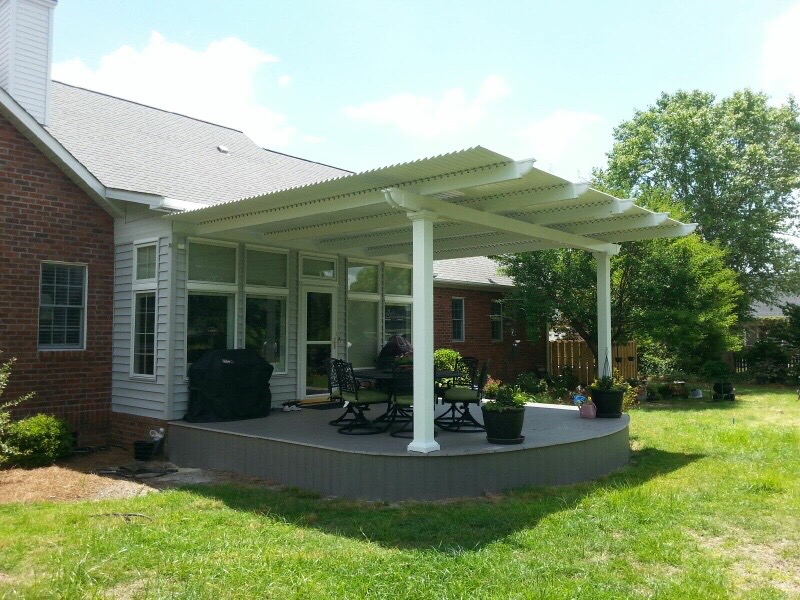 Louvered patio roofs are an ideal investment for homeowners who are searching for a more efficient way to enjoy their backyard space. 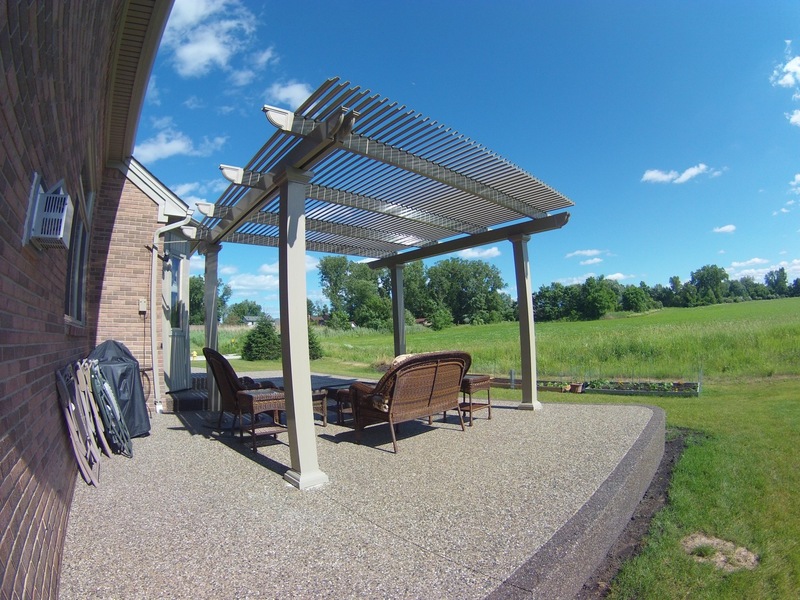 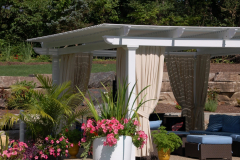 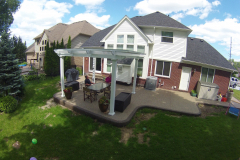 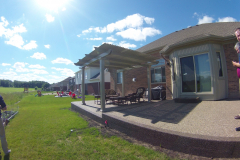 These state-of-the-art patio systems provide the best of both worlds – they can operate as patio covers and as pergolas. 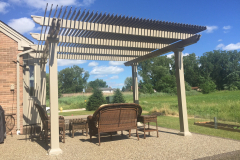 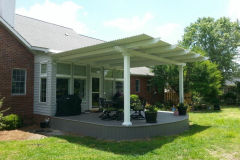 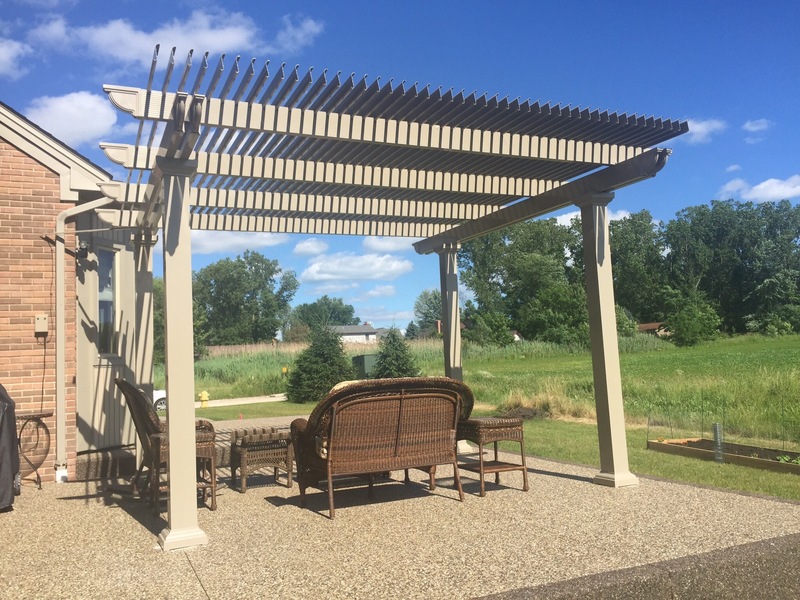 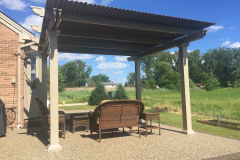 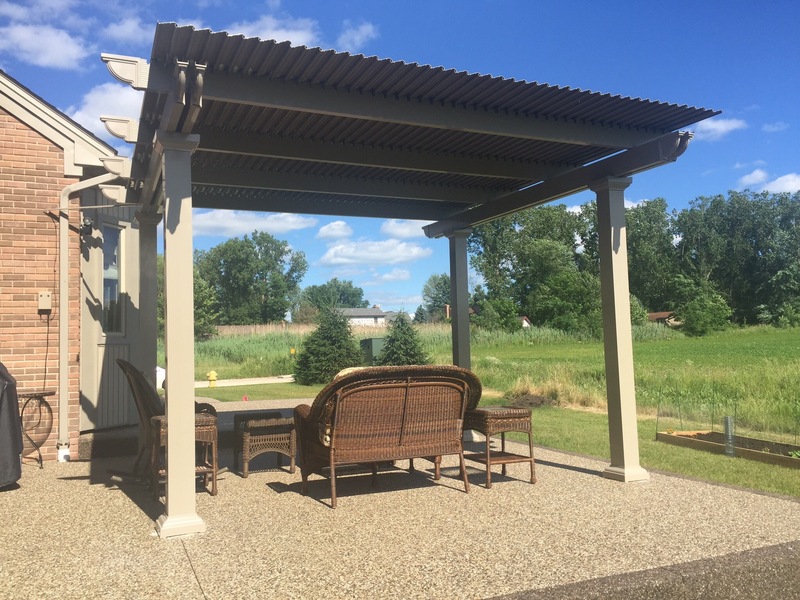 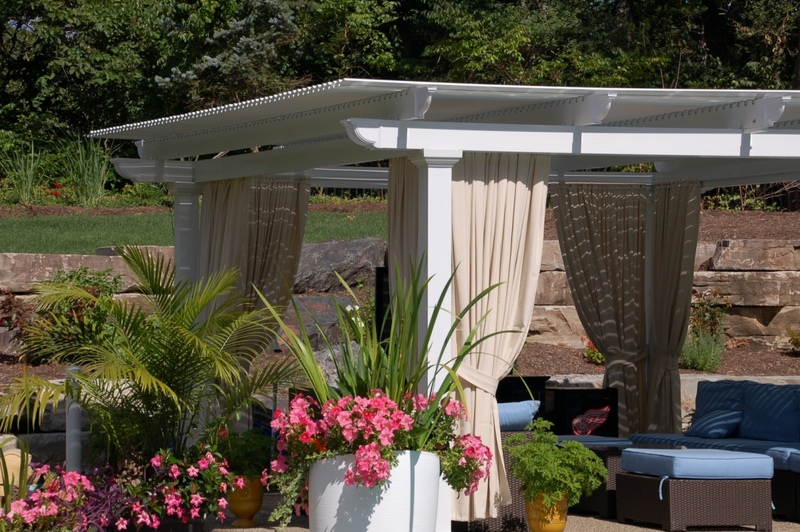 Traditional pergolas are attractive outdoor structures that provide some shade, but the only way for you to escape an unexpected rainstorm or the sun’s intense UV rays is to go inside. 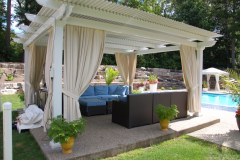 Solid patio covers are designed to shield any patio area completely, but they can’t be adjusted to control the amount of sun or shade you receive. 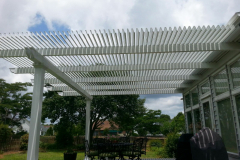 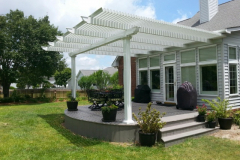 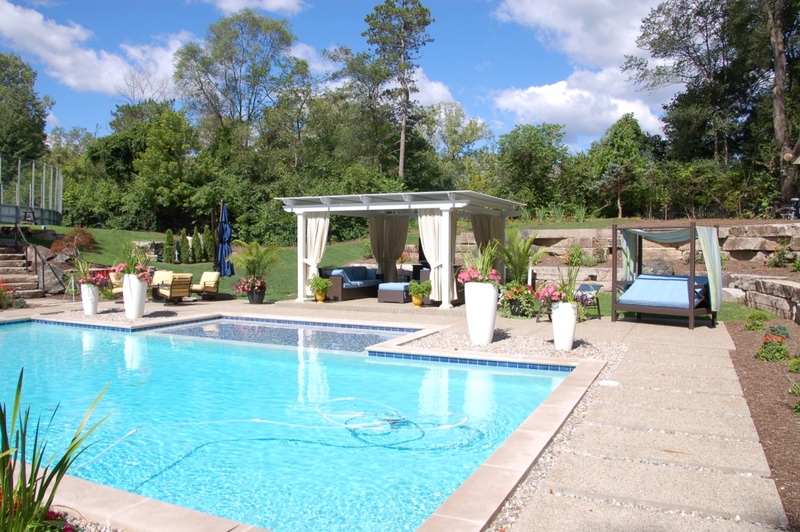 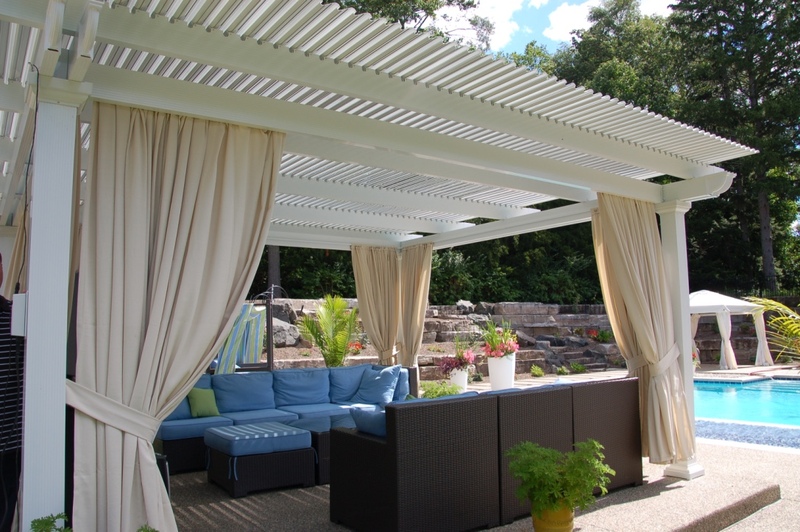 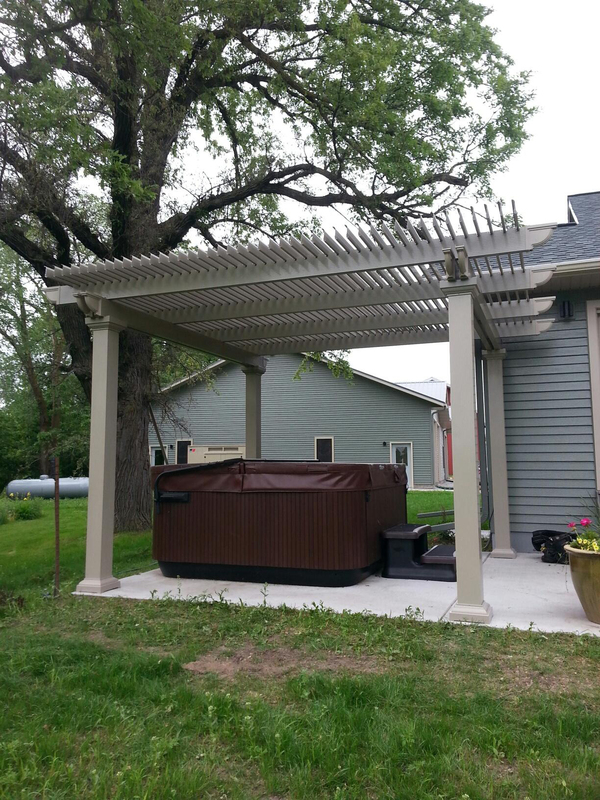 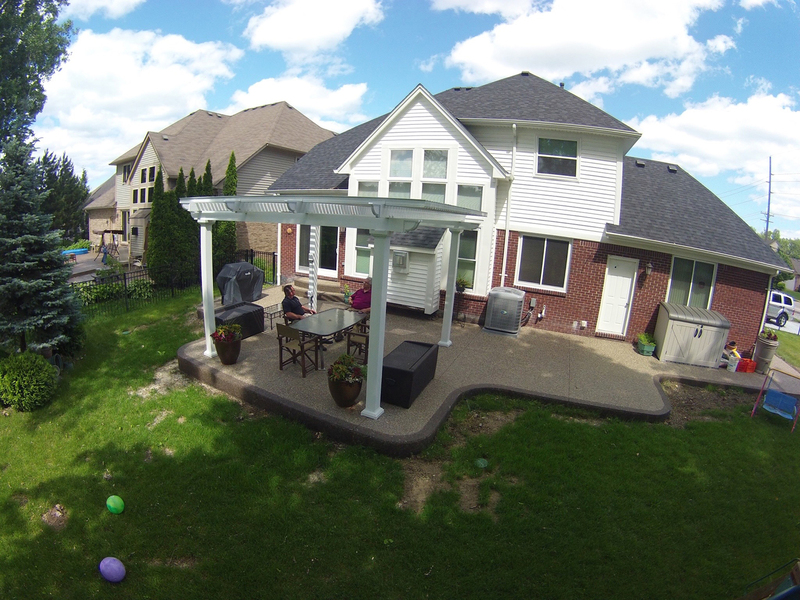 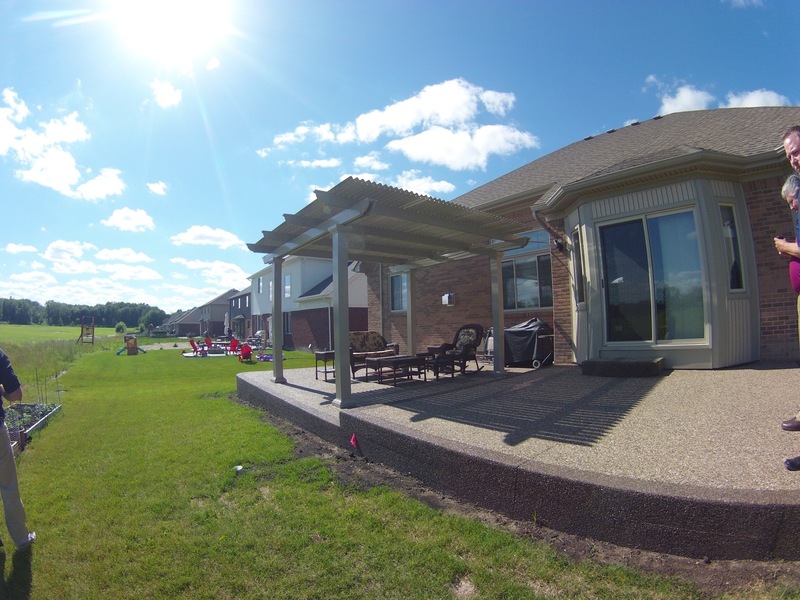 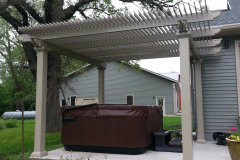 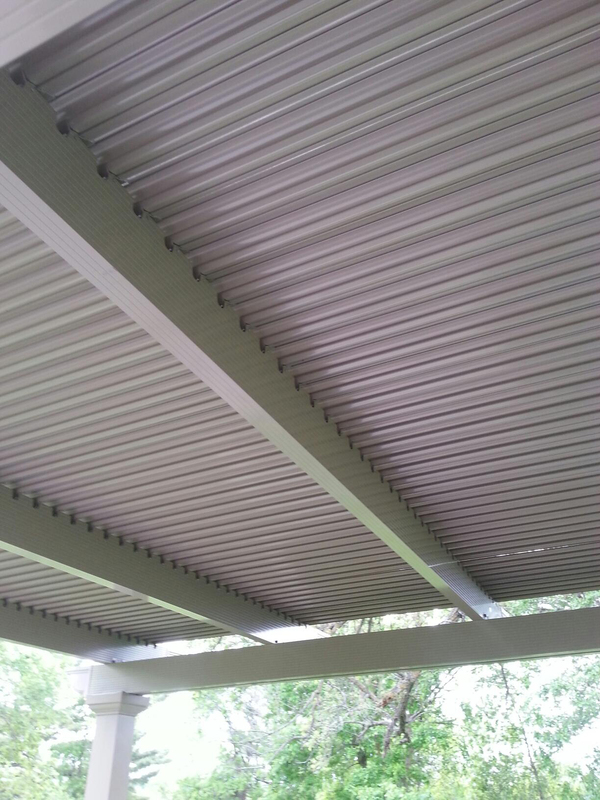 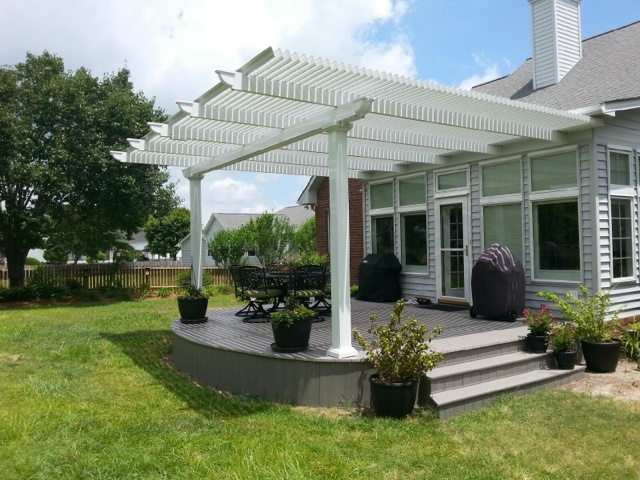 With TEMO’s louvered patio structures, we afford homeowners ability to enjoy their backyards rain or shine. 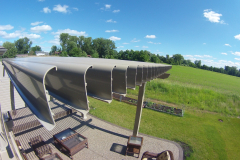 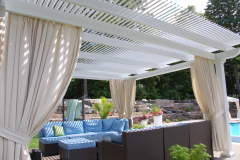 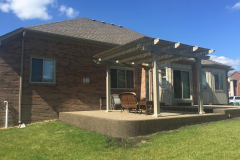 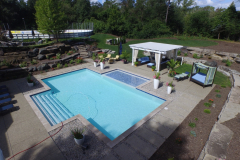 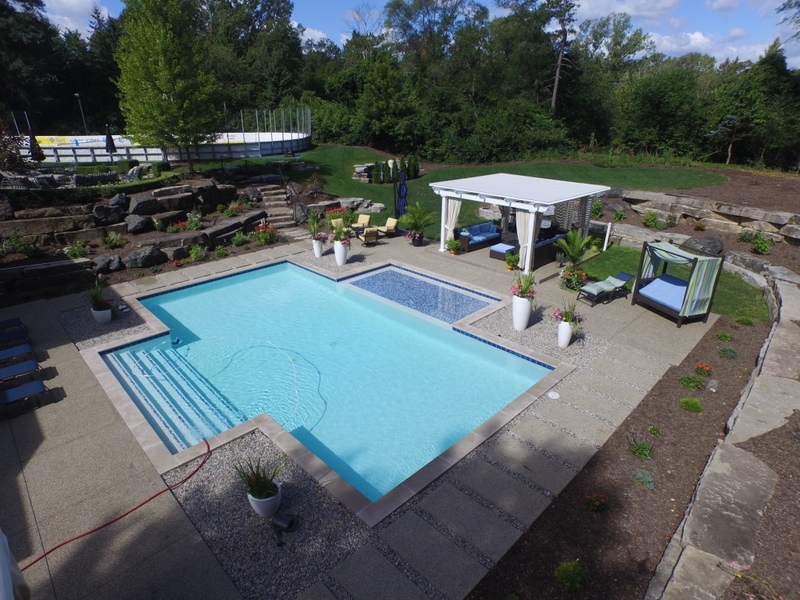 Since 1970, TEMO has been a leader in manufacturing attractive and durable outdoor living structures, and we are proud to supply homeowners throughout the country with adjustable louvered patio roofs. 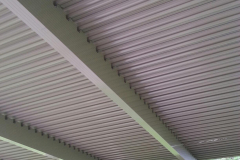 These products are equipped with slow-motion actuator motors that effortlessly open and close the roofing panels using a 500-lb push/pull force. 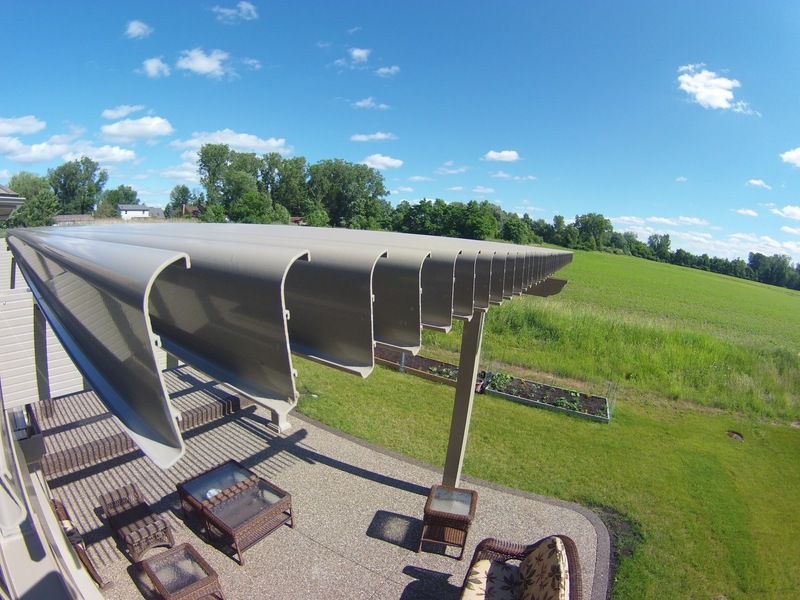 With just the simple press of a button, you can open the panels to enjoy the sunshine on a beautiful day or close them when it starts to rain. 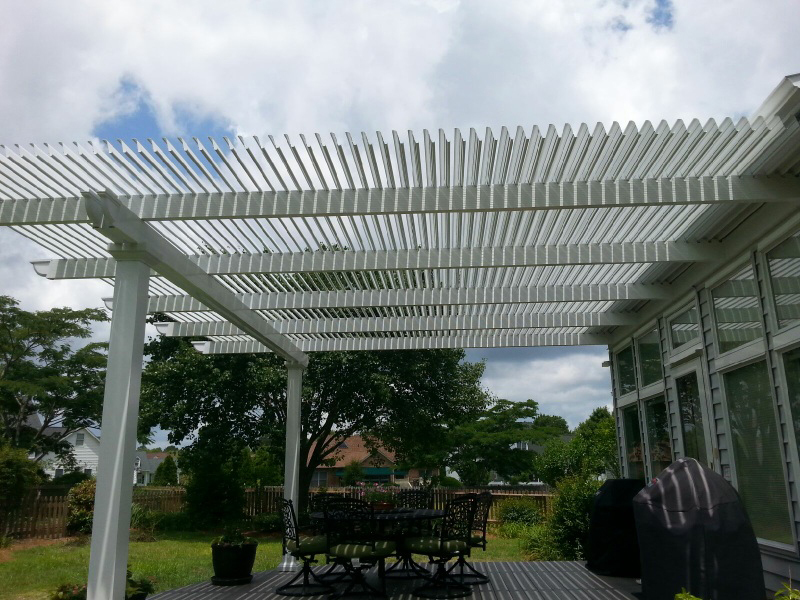 For more information about the features and benefits of our louvered patio roofs, contact TEMO today.